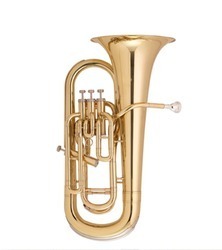 The “TRISTAR Eb Tuba has 3 valves and has big projection qualities and excellent intonation. A great value for money! A soft padded case (gig bag) and a mouthpiece are included. 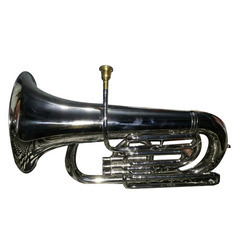 The sousaphone is a type of tuba , Designed so that it fits around the body of the tubist and is supported by The left shoulder, the sousaphone may be readily played while being carried.